Anne of Green Gablesby L.M. 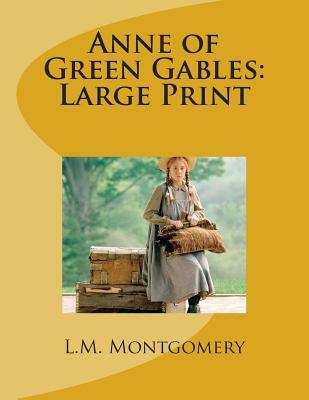 MontgomeryLucy Maud Montgomery's classic children's novel, Anne of Green Gables tells the story of a red headed orphan girl with a personality you can't help but love. Despite her "tragical" past, Anne's optimism and imagination have helped her to always see the best in things. Anne's life changes considerably when she is accidentally adopted by the Cuthberts, a brother and sister who thought they were getting a boy to help out on the farm. The Cuthberts decide Anne will have to be sent back to the orphange but before they know it, she has begun to work her way into their hearts.We are delighted to publish this classic book as part of our extensive Classic Library collection. Many of the books in our collection have been out of print for decades, and therefore have not been accessible to the general public. The aim of our publishing program is to facilitate rapid access to this vast reservoir of literature, and our view is that this is a significant literary work, which deserves to be brought back into print after many decades. The contents of the vast majority of titles in the Classic Library have been scanned from the original works. To ensure a high quality product, each title has been meticulously hand curated by our staff. Our philosophy has been guided by a desire to provide the reader with a book that is as close as possible to ownership of the original work. We hope that you will enjoy this wonderful classic work, and that for you it becomes an enriching experience.